This entry was posted on May 16, 2018 by Team Baader Planetarium. better contrast for Mars, Moon and Jupiter. 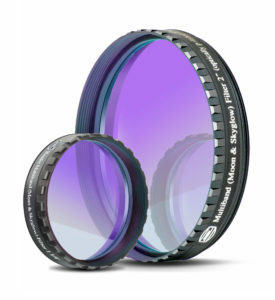 Planeoptically polished and MC-coated – with IR-cut coatings! 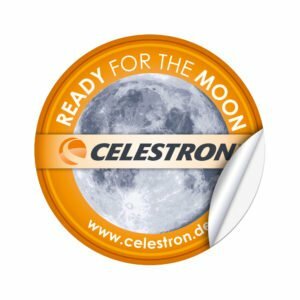 Drastic contrast enhancement for all telescopes, without loss of image brightness! This filter is initially based on a development by Carl Zeiss. The effect of the element neodymium as filter material is very impressive. If used as co-mixture to optical glass, it improves the contrast and enhances the red portions of the image (especially for Mars and Jupiter). At night it blocks that part of the spectrum, which suffers most from street lighting – and it blocks the light pollution, also known as „skyglow“. 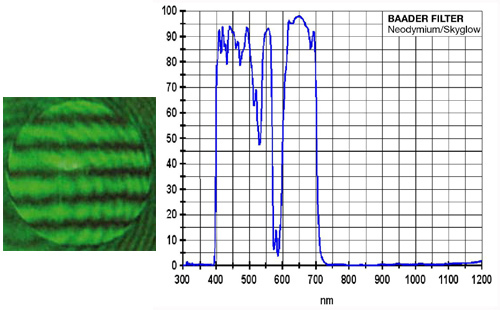 And lastly, the applied UV/IR blocking coating (Luminance-coating - check the spectral trace) cuts all unwanted UV below 400 nm and NIR above 700 nm - this makes it the „sharpest contrast enhancing filter“ for imaging. Parallel lines in the interferogram – the final proof for true fineoptical quality. This filter is fit for every magnification – limited only by your telescope‘s aperture and the atmospheric seeing conditions. Surface details on Mars, Jupiter and Moon as well as many deep-sky-objects become much more prominent. Selective blocking retains natural colours intact but with RGB significantly enhanced, differences in colour and brightness persist. 95% transmission in the selected spectral range. polished (!) Baader planetary colour filters. This way, you can see fine details better or combine several images with a monochrome camera to achieve colour images. 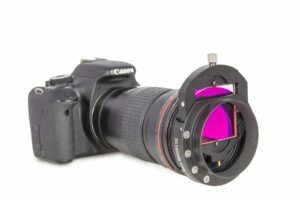 The filter is at the same time optimised for Astrophotography due to it‘s full UV/IR-blocking coating. When used with DSLRs, stars will remain much tighter, because the unfocussed UV and IR parts of the spectrum are blocked out. Planeoptically polished; can be used without problems in front of a binoviewer or for afocal photography – far away from the focus without loosing sharpness! Just take a look through the Moon & Skyglow-Filter with your naked eye to see its effect. Red and blue colours are strongly intensified. If you‘ve never seen the Great Red Spot on Jupiter – now you will find it. 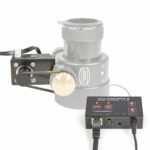 The filterholder that adapts to your needs! 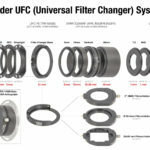 The Baader-UFC (Universal Filter Changer) is what you need for „quick-draw“ exchange of filters during imaging and visual observation alike. A myriad of adapters will fit the filter-changer onto almost any telescope. So the core product must never be changed. 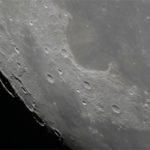 Just buy another adapter ring when moving on to another camera or telescope.